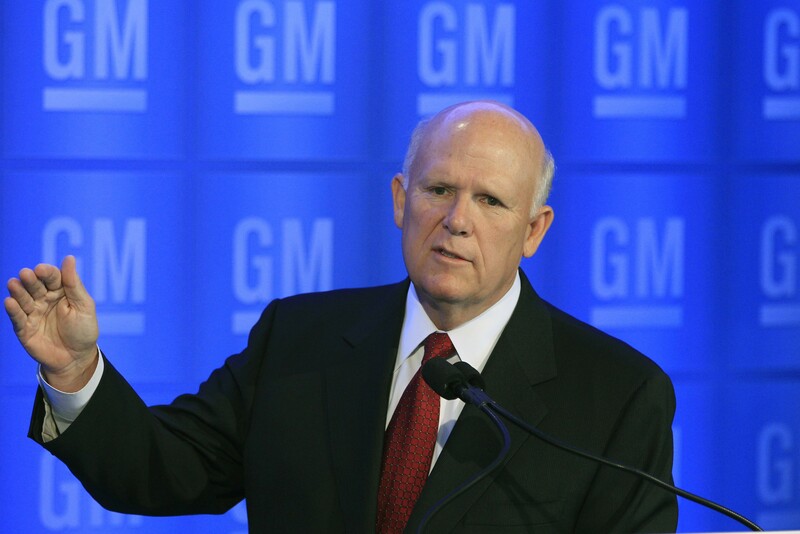 General Motors has moved in a decidedly more liberal direction since raking in a $50 billion government bailout from the Obama administration. The company pulled its funding from two embattled conservative legislative groups in June, saying that it did not want to get intertwined in politics. But that has not stopped the troubled carmaker from throwing its advertising money behind the liberal Huffington Post. Cadillac, GM’s luxury automobile brand, is a founding sponsor of HuffPost Live, the liberal website’s video sister site. Its advertising dollars have given a new platform for Obama mega-donor and serial misogynist Bill Maher to wax political about "stupidest woman in the world," Sarah Palin. Cadillac’s funding for the new liberal venture follows their withdrawal of funding from the conservative Heartland Institute and embattled legislative group ALEC after pressure from leftwing groups. In March, Obama’s handpicked GM CEO Daniel Akerson visited a global warming interest group called Climate One at San Francisco’s Commonwealth Club to pledge the company’s commitment to the theory of man-made global warming. "I am an individual and I have my own convictions," he said of his belief in global warming. "I find this Heartland Institute interesting … I’m going to take another look at it when I get back to Detroit." The GM Foundation pulled its support of the institute two weeks later. While GM has doubled down on green vehicles like the Chevy Volt, its stock has tumbled about 40 percent since its record-breaking IPO. That has saddled the taxpayers with a $16 billion loss on its 26 percent ownership stake in the company, leading to speculation that GM is teetering on the edge of another bankruptcy. The car company’s fiscal woes have not stopped them from splurging on lucrative advertising deals. The company signed the most expensive endorsement deal in history when it spent $600 million to display the Chevy logo on Manchester United’s soccer uniforms. The automaker and its bankrupt lending arm, Ally Bank, owe taxpayers $42 billion on their combined $57 billion bailout. The Treasury Department estimates that its stock would have to triple in order to fully repay government loans. This entry was posted in Culture and tagged ALEC, Climate Change, Democratic Donors, General Motors, Media, Obama Campaign, Think Tanks. Bookmark the permalink.